Flyer Printing... Located in Toronto, Shipping Across Canada! Flyer printing usually takes 4-5 business days (this is just a general guideline) but rush orders are sometimes available. This does NOT factor in your file preparation time or shipping times all of which can vary dramatically. Please call for a more complete turnaround estimate at 1-888-587-2383 ext 1. A: Yes!! We can design your Flyer for a flat fee of just $149. Read more. 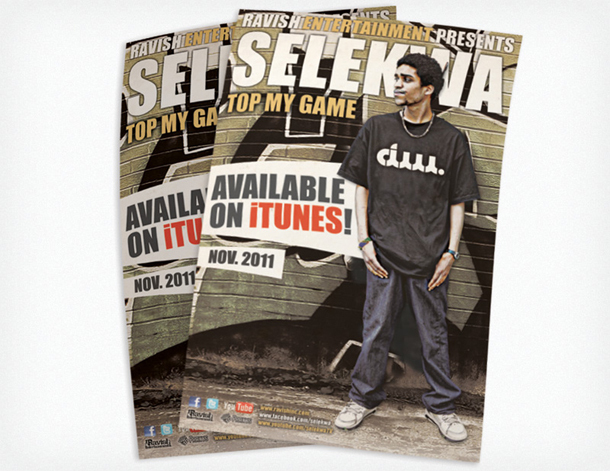 We Can Design Your Flyer for $149! 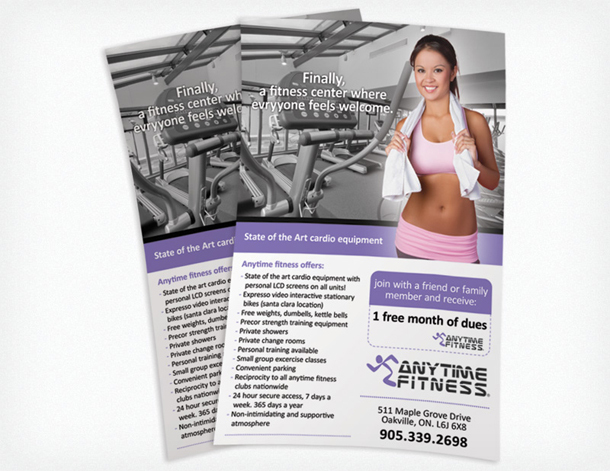 We can design your Flyer for a flat fee of just $149! This includes your initial design +4 rounds of revisions for 5 versions total which is more than enough 95% of the time. Additional rounds of revisions will cost $15 each. The paper we use for our flyers is called 100 pound gloss text. This can be confusing because many different paper types use the terminology 'pound'. Probably the best reference for how thick these are is to simply say they are approximately twice the thickness of your typical 20 pound bond office paper. If you're planning to distribute the Canada Post please note that flyers are slightly thinner than their specified minimum thickness. 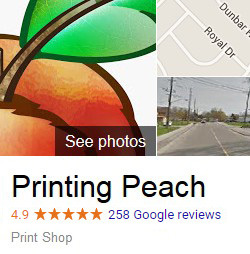 We have had numerous clients tell us that Canada Post accepted their flyers for distribution, but we have also been told by clients that they attempted distribution to Canada Post and were turned away. 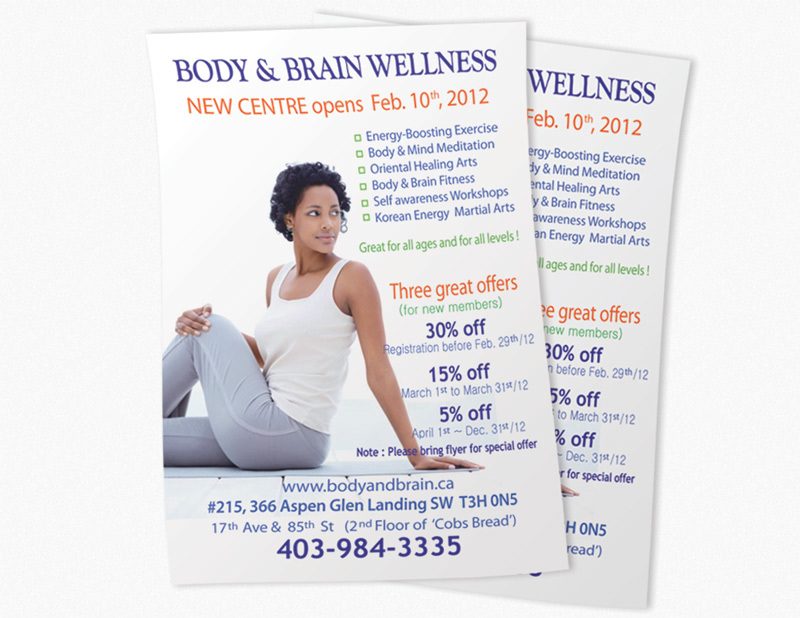 The best advice would be to print postcards or brochures which both meet Canada Post specifications. IMPORTANT: Be aware that Canada Post will also require your postcards or brochures be bundled into groups of 100. Please call to order by phone if you intend to distribute with Canada Post. 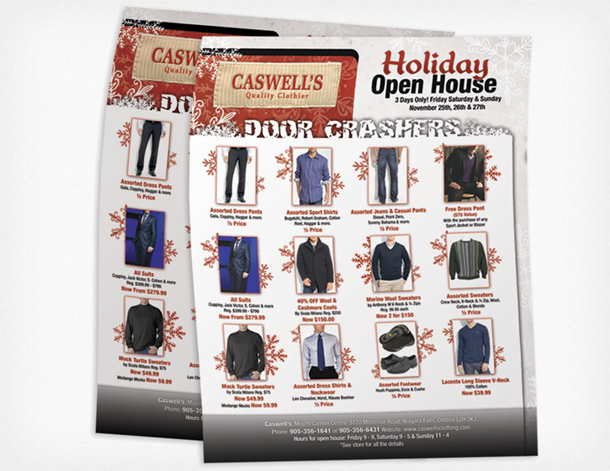 If you are wondering where the folding options are, please visit our brochure printing page.